Ian Nyschens (pronounced "nations") shot as many elephants as Walter Bell did—well over 1,000—and under much more difficult circumstances. His book will rank or surpass the best elephant-ivory hunting books published in the twentieth century. Remarkably, his adventures took place much later than the likes of Bell, Sutherland, Neumann, and others. The stories of his hunts with his double rifle are sure to impress. Ian’s career as an elephant hunter began in 1947 in Southern Rhodesia when he found a companion—Faanie Jooste—and the pair of them started hunting for ivory for a living. They roamed far and wide, often outside of the law, as far north as southern Tanzania and as far east as the coast of Mozambique. But Ian's stronghold was the thick jess bush of the Zambezi Valley, a place he loved more than any other. There, visibility was so poor that sometimes a hunter could be close enough to touch an elephant with the barrel of his rifle before he could see it. Ian’s life was one fantastic epic adventure after another. He once faced a stampede of seventeen furious elephants in reeds over twelve feet tall and had to shoot a “wall” of elephants to prevent him and his companions from being overrun. On another occasion Ian and Faanie developed a method of hunting crocodiles for their skins that entailed walking chest-deep into the Zambezi River at night. They would stand next to an anchored hippo leg and "brain" the crocs. In the end that got a bit too much even for Ian, and he gave it up as being too hazardous. Ian was married for a time, but his lifestyle was not conducive to domestic bliss, and the marriage did not last. Once the Kariba Dam was completed in 1959, it flooded a great deal of his beloved Zambezi Valley, and Ian's world began to shrink. He continued to shoot elephant under the control scheme set by Rhodesian authorities, but his footloose days were at an end. He joined the wildlife department as a game ranger for a while, but his unsociable character made for a short career. He shot most of his elephants with a Rigby .450 3¼. He used the Rigby so much that the barrels separated from use (the solder disengaged), and he had to send it back to London to have it repaired. Not many people use a double rifle to that extent! Ian Nyschens was the most notorious elephant poacher in Rhodesia until the time he was finally appointed a warden to help protect the game. This is a highly entertaining story of an irascible loner whose violent adventures make Jesse James sound like a Sunday school teacher! 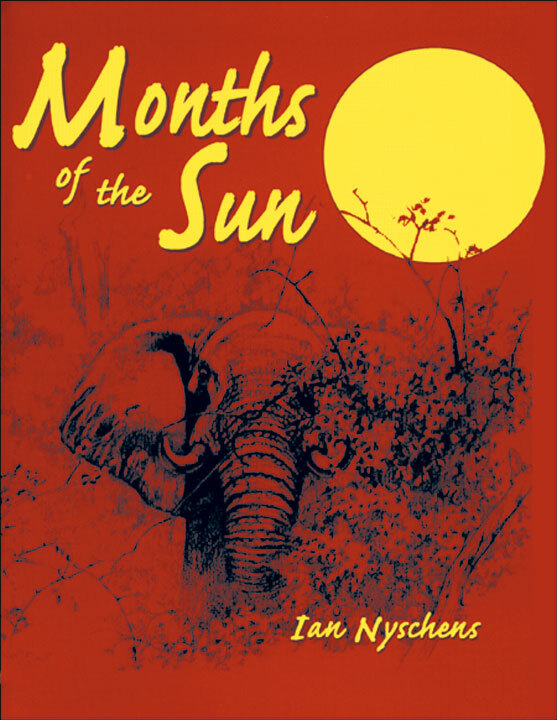 Footnote: Sadly, Ian Nyschens died on 6 December 2006 in Harare, Zimbabwe. May he now tread in the eternal hunting grounds where all elephants carry tusks of a minimum of eighty pounds per side. Farewell old friend, you will be missed by many. Submit your review for "Months of the Sun"